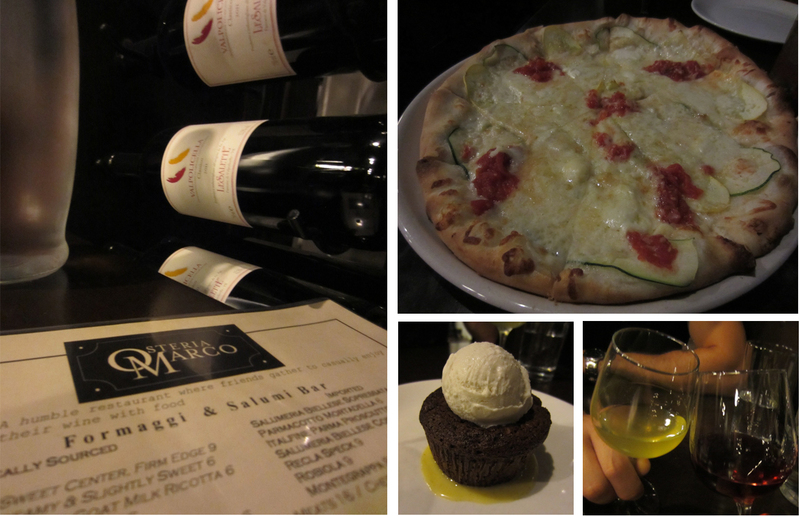 I’m always up for Italian food or even just a good pizza, and Osteria Marco deliveres just that. In the spirit of a true osteria, the environment is unpretentious and casual, with a rustic yet contemporary vibe that you would you would expect from a Downtown eatery. 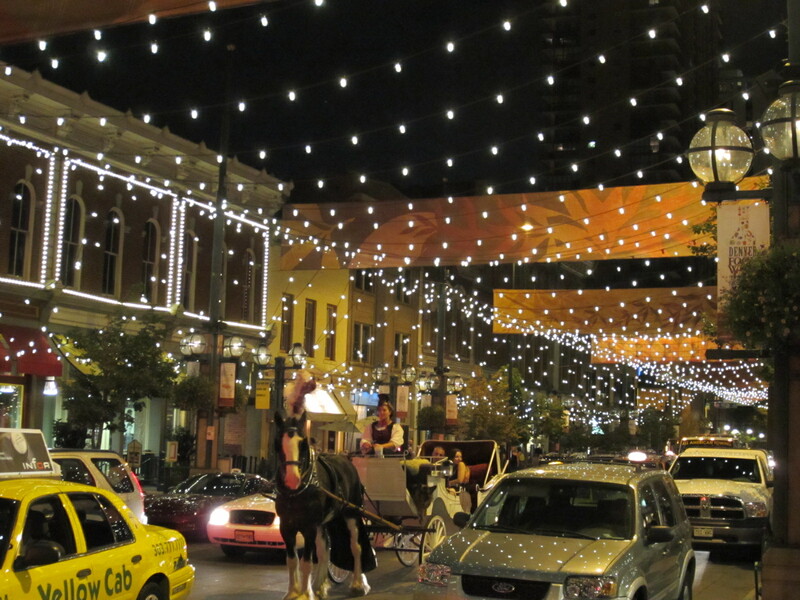 Plus it’s easy to get to, right off the 16th Street Mall in Downtown Denver. The menu centers around hand-tossed pizzas and wine, but be sure to save room for dessert and try the Nutella chocolate cake with banana gelato. Another highlight is Osteria Marco’s housemade cellos – we tried both the traditional limoncello and a blackberry version to top off the meal. Located on the ever-charming Larimer Street, just a few doors down from Osteria Marco, is one of my favorite cocktail spots in Denver, Corridor 44. Occupying a narrow corridor and serving up fun and fizzy concoctions, this bar is a great place for a before or after dinner drink. 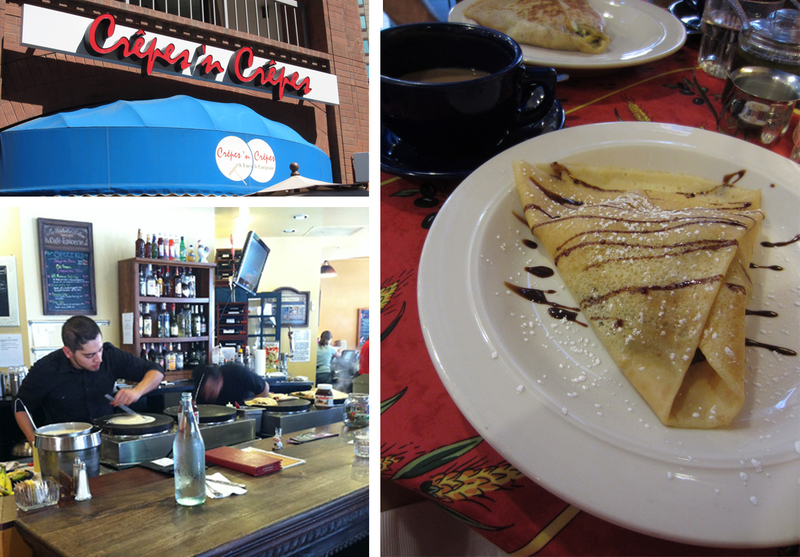 If a trip to France isn’t on the horizon, then head to Crêpes ‘n Crêpes for an authentic French treat. Located in Writers Square, this adorable crêperie and bar serves up two types of crêpes in the tradition of France’s Brittany region – Ble noir, savory crêpes made with buckwheat flour and Froment, sweet crêpes made with wheat flour. With its long open bar, part of the charm of Crêpes ‘n Crêpes is being able to watch the crêpiers fast at work, making the light and fluffy crêpes on imported iron griddles. And with a quaint and relaxed environment (not recommended if you’re in a rush), it’s the perfect place to kick-back and enjoy a leisurely weekend brunch.